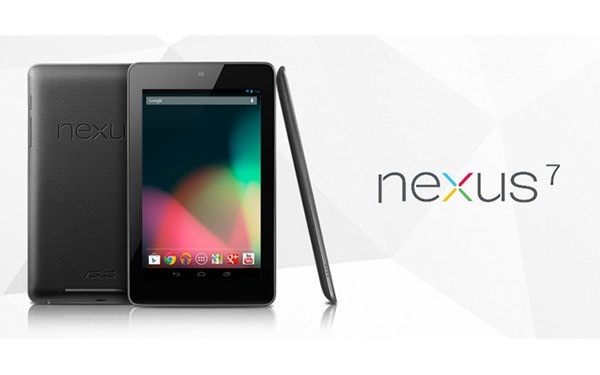 Google has unveiled the second generation of its Nexus 7, finer and more powerful version of its tablet, expected to more pressure on the iPad mini rival Apple. The 7-inch slate (17.8 centimeters) diagonally, always made ​​by Taiwan-based Asus is thinner than 2 mm and a little narrower than the previous version which was launched last year. "It's actually a huge difference when we take in hand. It passes more easily in a bag or a coat," said Hugo Barra, vice president of Google's mobile division, leaving the pocket terminal back of his pants to present to journalists. The leader also praised the high definition screen (1920 x 1200 pixels 1280 x 800 against for the former) and high performance speakers of its tablet. U.S. customers can buy it from next Tuesday on the online store GooglePlay and trade at prices starting at 229 $ . It will then be launched in the coming weeks in Canada, the United Kingdom, Spain, France, Australia and South Korea. With Samsung and other manufacturers exploiting its Android OS, Google has emerged as the main rival to Apple mobile devices. "Nearly one in two tablet sold in the world is based on Android," said Wednesday the head of this division, Sundar Pichai. According to him, more than 70 million Android tablets have been activated so far in the world.